Many students are unaware of the importance of recycling, energy conservation and sustainable/clean energy, but climate change is an issue that affects everyone. The Alamo Colleges’ Sustainability Policy promotes environmental literacy, but only a handful of Palo Alto College professors incorporate it into their curriculum. When professors incorporate eco-friendly assignments into their curriculum, students become aware of the issues surrounding climate change. 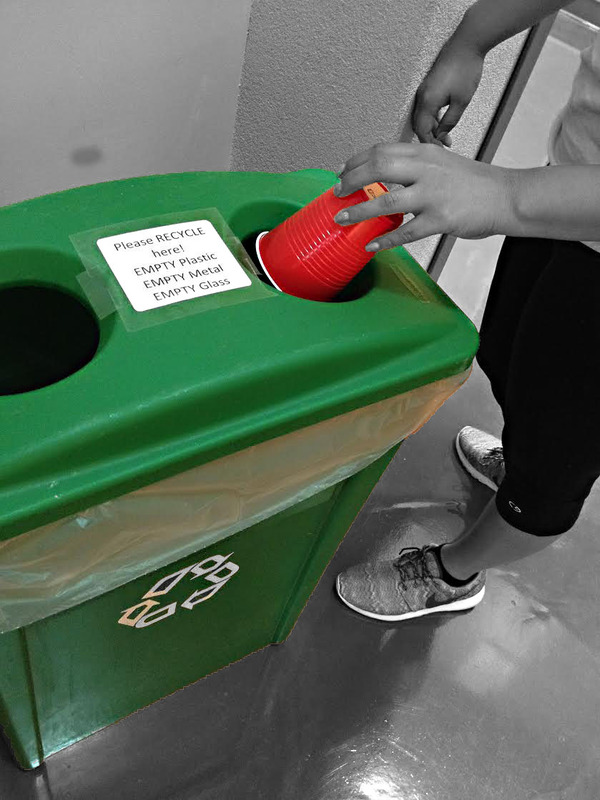 Many students who choose not to recycle or conserve energy admit to not doing so because they think they would not make a difference. Professor of Horticulture James Bliek also believes in the preservation of natural resources. Professor Bliek developed a simple strategy to conserve water, which he uses in his own home. While washing a dish or even a few dishes, Bliek keeps a bucket in the sink and reuses the water from his dishes to water his plants. “It’s little things. It’s something small where you can make a difference. It doesn’t bother the plants if there’s some organic matter in the water,” he said. Something similar is also being done at the PAC greenhouse, Bliek said. “We try do to what we can with the rainwater collection system…we have a series of barrels around the greenhouse…” There is a pipe that runs along the greenhouse that connects to the barrels, “and the barrels are interconnected so they would fill and save the rainwater that would come off of the greenhouse,” he said. Just like the rainwater in the greenhouse is separated, so is all the trash. Once the trash is separated, anything that is organic goes into its own separate container. The containers of organic matter are then brought outside to be composted, making good use of a renewable resource. Joseph Losoya, president of Club Earth and a Communications sophomore, recently participated in the first-ever EcoExchangeEdu event. He performed his popular rap song “Recycle, Recycle” and gave a presentation to students, faculty and staff from Trinity University, the University of the Incarnate Word, San Antonio College and St. Philip’s College about Palo Alto’s involvement in eco-friendly activities. To become informed on the issues of energy conservation and maintaining a sustainable environment, students should consider the following courses: Earth Science, Physical Geology, Environmental Biology, Principles of Horticulture and many more. In addition, Camille Fiorillo, Palo Alto College reference librarian, created a Lib Guide to give students quick access to relevant online reading material. Teach yourself about this critical issue!